Moshi Monsters: Moshling Zoo boasts over 50 million players across over 150 countries worldwide, making Moshi Monsters is one of the largest and most loved childrens games online! 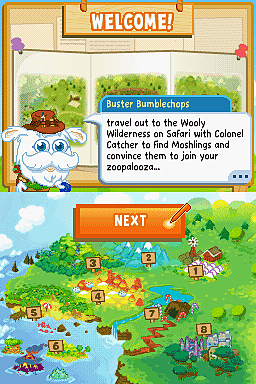 The worlds fastest growing online game for children presents Moshi Monsters: Moshing Zoo on Nintendo DS. Boasting over 50 million players across over 150 countries worldwide Moshi Monsters is one of the largest and most loved online games for children. 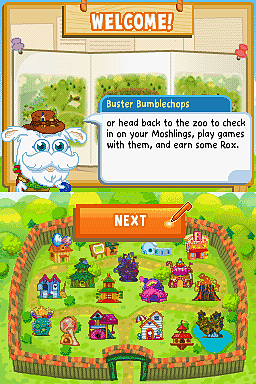 Moshi Monsters: Moshing Zoo is set to become one of the most sought after presents for children. Find ‘em, Keep ‘em: Explore the woolly Wilderness in the search of the ultra rare Moshlings to add to your Moshling Zoo! 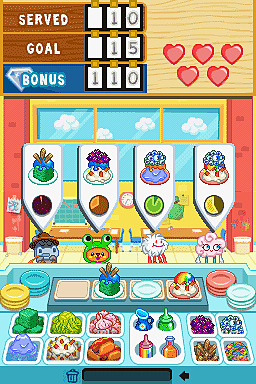 Play Cool Mini-Games: Play exclusive Moshi mini-games to help boost your Moshlings Level, Mood, Health and Happiness. Explore the World: Explore all new areas of Monstro City including Busters Baby Care, the Glormatorium and Raaghly’s Stararcade. Unlock Moshi Rewards: Unlock ultra rare Moshi Monster rewards including achievements, trophies and super secret items to be unlocked within MoshiMonsters.com.